Happy Hanukkah!! 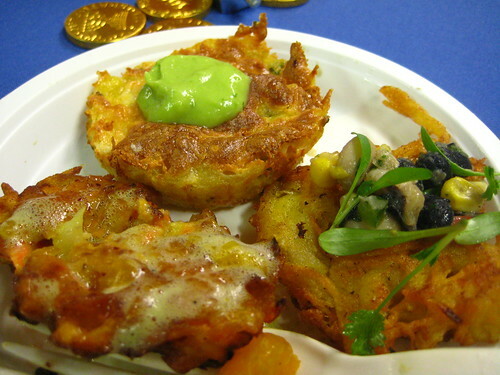 In celebration of Hanukkah, Moniker and I decided to get our latke-on at Great Performances' Latke Cook-Off. I'm pretty sure I've stated this before, but it bears repeating-I'm secretly Jewish. Yay, Maccabees. 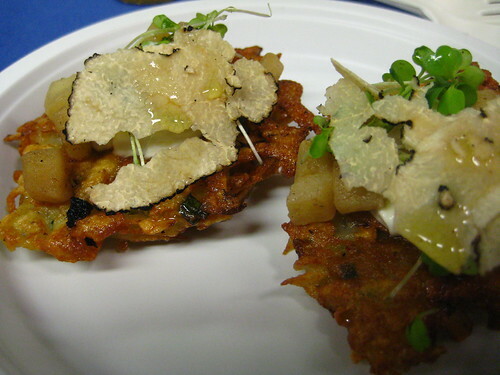 The event was held in the Great Performances' kitchen, a people's choice competition among four different takes on the latke. 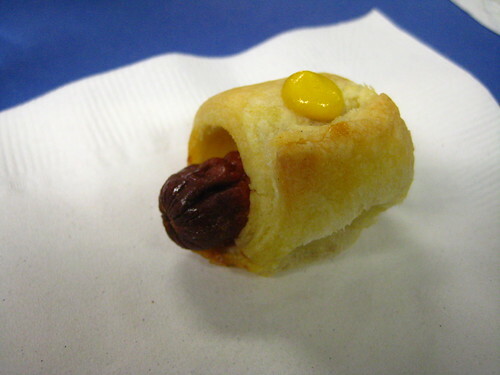 But before we started in the on the latkes, we got pigs in a blanket, one of my favorites. I'm a sucker for comfort foods. First up for us was the Soul Latke from Dizzy's Club Coca-Cola, made with tomato jam and topped with a black-eyed pea salad. 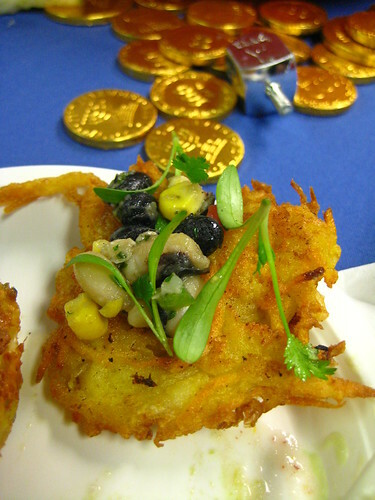 Next in line was the New American Latke from Marc Spooner, the chef de cuisine of Great Performances. This version was topped with a clementine compote and basil foam. 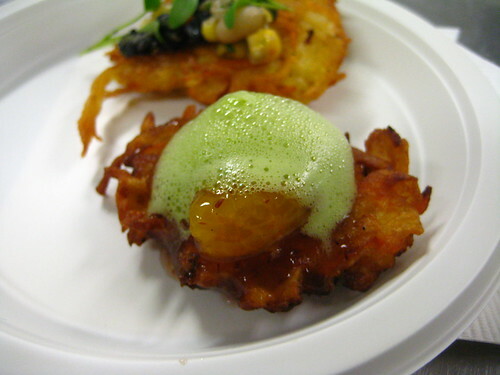 Third on our plate was the spicy Latin Latke from El Museo del Barrio. This was topped with a smooth avocado cream, something I'd never think to put on top of a potato pancake, but it went together pretty well. Lastly was the Gilded Latke from The Plaza. Topped with shaved truffles, smoked salmon, and caviar, decadent is an understatement. 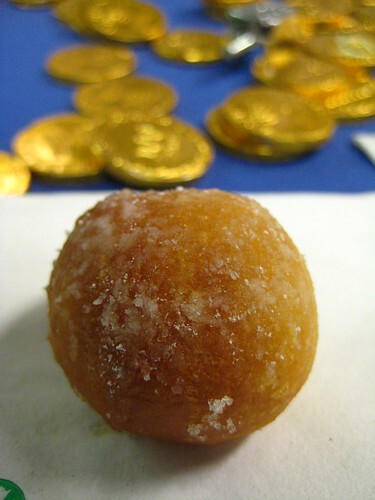 While they tallied up the votes, sufganiyot (doughnut holes) came out by the tray full, but with all those latkes, it was hard to eat more fried food. Of course, I partook in the dessert, but I stopped after two. 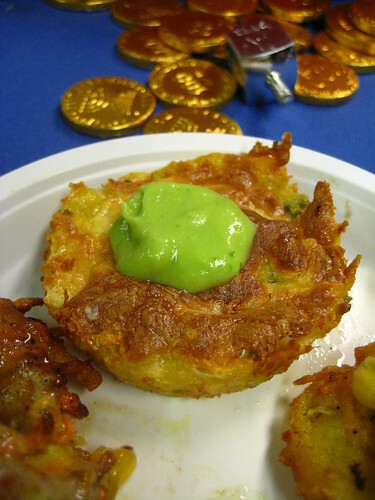 And in the end, the people and I thought that the Soul Latke was the best of the bunch! My fav was the Latin Latke! wish i could have made it to this. the all look delicious!